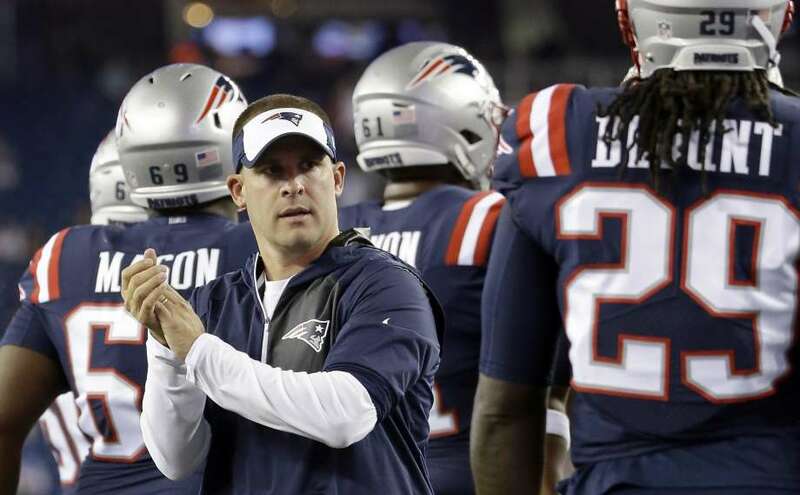 Why the hell does Josh McDaniels want to coach the 49ers? Head-coaching interest is swirling around Patriots offensive coordinator Josh McDaniels, and for good reason. Without Rob Gronkowski for most of this year, he's turned the Pats into one of the league's most dangerous offenses and set New England up as Super Bowl favorites. Among other teams, he's scheduled to interview with the 49ers for a head job this Sunday. And get this: according to multiple reports, San Francisco is his top choice. Why? Per the Boston Globe's Ben Volin, McDaniels has said that he needs team CEO Jed York to commit to a full rebuild if he heads west, which is precisely the problem. York has hired and fired three coaches in three years, and demonstrated a lack of both patience and football knowledge in the process. He's not a football guy, and he didn't even buy the team himself: he inherited it from his mother, who got it from his uncle, Eddie DeBartolo. The main point? York has little to no football knowledge, and he's created a front office dumpster fire, severely hurting the entire organization in the process. As of now, the 49ers' best quarterback is Colin Kaepernick. Outside of runner Carlos Hyde, they have no young blue-chip offensive talent, contributing to an attack that ranked 31st in yards per game and 27th in points per game. Unfortunately, the defense wasn't much better: despite having multiple first-round picks on the D-line and in the secondary, the red and gold couldn't stop anybody (they were last in the league in both yards and points allowed per game). All this begs the question: if McDaniels has garnered interest from the Rams and Jags as well, as insiders are saying, why in hell does he like San Francisco more than the other two jobs? San Fran has the worst QB situation, a dearth of young talent, and a mismanaged front office. In Jacksonville, McDaniels would only have to get Blake Bortles back on track to make the team competitive--playing in the AFC South works wonders, and the Jags are stacked at the offensive skill positions. Los Angeles, while terrible on offense, has rock-solid young defenders, a rookie of the year runner (Todd Gurley), and a quarterback to develop (Jared Goff). San Francisco has a blank slate. Now, McDaniels might like that blank slate, and it's easy to see why. Without any stars and few terrible contracts, McDaniels could work with San Fran's new GM (some reports say ESPN's Louis Riddick is the frontrunner) to sculpt the team just the way he likes it. The problem, as you can probably already see, is the ownership. York has shown absolutely no patience for a rebuild, and turning the Niners around will require far more than the one year York gave Jim Tomsula and Chip Kelly. Bottom line: San Francisco is the worst of the three teams that have reached out to McDaniels, and they've got the worst owner as well. They may seem attractive to rebuild from square one, but unfortunately, Jed York will never be patient enough. Traveling out west would be a mistake for McDaniels unless he can put the team in the playoffs in three years, tops. The way the Niners look now? That's going to be a very tough task.